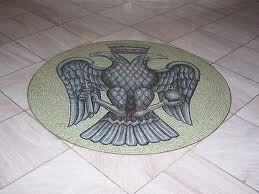 The Holy Spirit grants to those who partake of the sacred offerings the remission of sins of their sins. 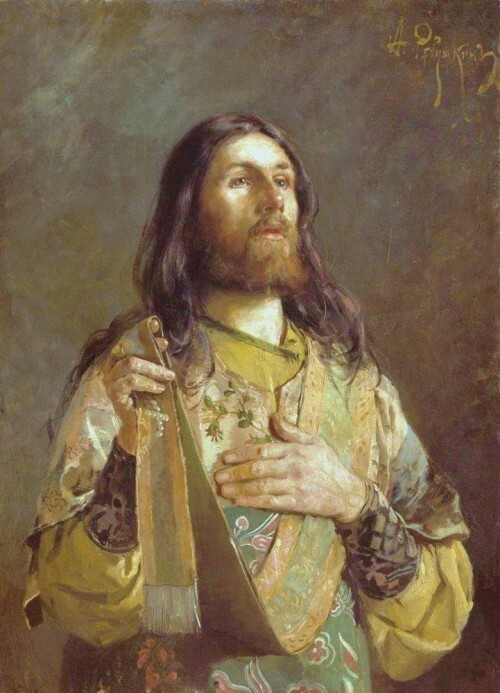 “Let not this grace be removed from these offerings because of my sins.” There are two ways in which grace operates in the precious offerings; first, by grace they are sanctified, and secondly, by grace we are sanctified through them. The working of grace upon the offerings — the first of which we spoke — cannot be invalidated by any human evil. Since the consecration of the offerings is not the work of human virtue, it cannot be hindered in any way by the wickedness of men. Why is it that for the consecration of the Offerings the Celebrant does not invoke the Son, Who is the Priest and Sanctifier, as we have said, but rather the Father? 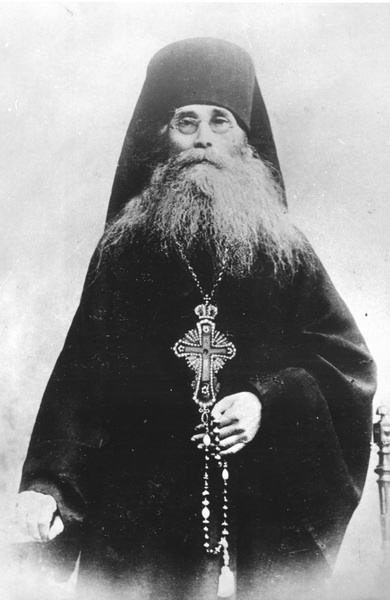 Patriarch of Antioch Theodore Balsamon ca. 12th cent. One of the tragic consequences of the divorce between Christian theory and praxis, between faith and knowledge, is that nowadays knowledge about theological subjects does not necessarily presuppose faith. You can be a theologian and not belong to any church community; in principle, you do not need to believe in God to receive a theological degree. Theology is reduced to one of the subjects of human knowledge alongside with chemistry, mathematics or biology. Another divorce which needs to be mentioned is that between theology and liturgy. For an Orthodox theologian, liturgical texts are not simply the works of outstanding theologians and poets, but also the fruits of the prayerful experience of those who have attained sanctity and theosis. The theological authority of liturgical texts is, in my opinion, higher than that of the works of the Fathers of the Church, for not everything in the works of the latter is of equal theological value and not everything has been accepted by the fullness of the Church. 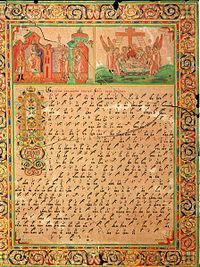 Liturgical texts, on the contrary, have been accepted by the whole Church as a “rule of faith” (kanon pisteos), for they have been read and sung everywhere in Orthodox churches over many centuries. Throughout this time, any erroneous ideas foreign to Orthodoxy that might have crept in either through misunderstanding or oversight were eliminated by church Tradition itself, leaving only pure and authoritative doctrine clothed by the poetic forms of the Church’s hymns. Several years ago I came across a short article in a journal of the Coptic Church where it stated that this Church had decided to remove prayers for those detained in hell from its service books, since these prayers “contradict Orthodox teaching.” Puzzled by this article, I decided to ask a representative of the Coptic Church about the reasons for this move. When such opportunity occurred, I raised this question before one Coptic metropolitan, who replied that the decision was made by his Synod because, according to their official doctrine, no prayers can help those in hell. 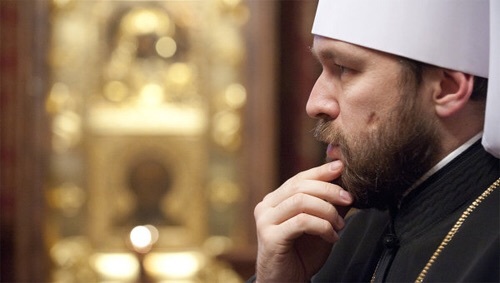 I told the metropolitan that in the liturgical practice of the Russian Orthodox Church and other local Orthodox Churches there are prayers for those detained in hell, and that we believe in their saving power. This surprised the metropolitan, and he promised to study this question in more detail. During this conversation with the metropolitan I expressed my thoughts on how one could go very far and even lose important doctrinal teachings in the pursuit of correcting liturgical texts. Orthodox liturgical texts are important because of their ability to give exact criteria of theological truth, and one must always confirm theology using liturgical texts as a guideline, and not the other way round. The lex credendi grows out of the lex orandi, and dogmas are considered divinely revealed because they are born in the life of prayer and revealed to the Church through its divine services. Thus, if there are divergences in the understanding of a dogma between a certain theological authority and liturgical texts, I would be inclined to give preference to the latter. And if a textbook of dogmatic theology contains views different from those found in liturgical texts, it is the textbook, not the liturgical texts, that need correction. Even more inadmissible, from my point of view, is the correction of liturgical texts in line with contemporary norms. Relatively recently the Roman Catholic Church decided to remove the so-called “antisemitic” texts from the service of Holy Friday. 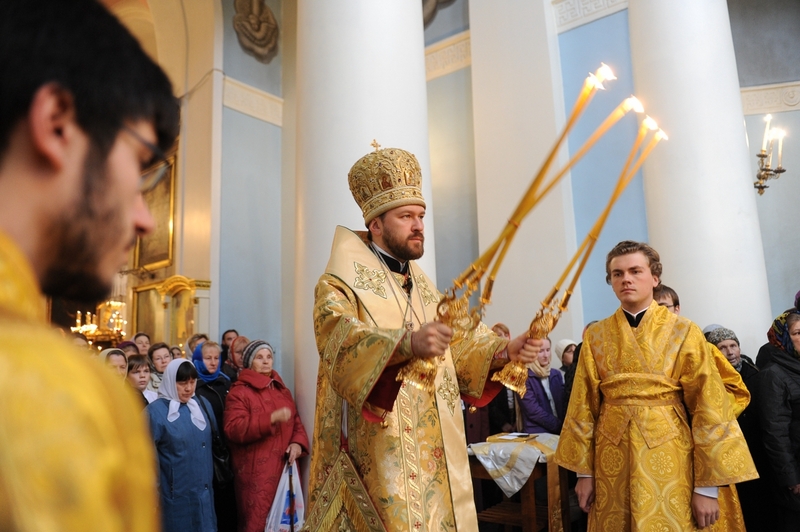 Several members of the Orthodox Church have begun to propagate the idea of revising Orthodox services in order to bring them closer to contemporary standards of political correctness. For example, the late Archpriest Serge Hackel from England, an active participant in the Jewish-Christian dialogue, proposed the removal of all texts from the Holy Week services that speak of the guilt of the Jews in the death of Christ (cf. his article “How Western Theology after Auschwitz Corresponds to the Consciousness and Services of the Russian Orthodox Church,” in Theology after Auschwitz and its Relation to Theology after the Gulag: Consequences and Conclusions, Saint-Petersburg, 1999, in Russian). He also maintains that only a ‘superficial and selective’ reading of the New Testament brings the reader to the conclusion that the Jews crucified Christ. In reality, he argues, it was Pontius Pilate and the Roman administration who are chiefly responsible for Jesus’ condemnation and crucifixion. This is just one of innumerable examples of how a distortion of the lex credendi inevitably leads to “corrections” in the lex orandi, and vice versa. This is not only a question of revising liturgical tradition, but also a re-examination of Christian history and doctrine. The main theme of all four Gospels is the conflict between Christ and the Jews, who in the end demanded the death penalty for Jesus. There was no conflict between Christ and the Roman administration, the latter being involved only because the Jews did not have the right to carry out a death penalty. It seems that all of this is so obvious that it does not need any explanation. This is exactly how the ancient Church understood the Gospel story, and this is the understanding that is reflected in liturgical texts. However, contemporary rules of “political correctness” demand another interpretation in order to bring not only the Church’s services, but also the Christian faith itself in line with modern trends. 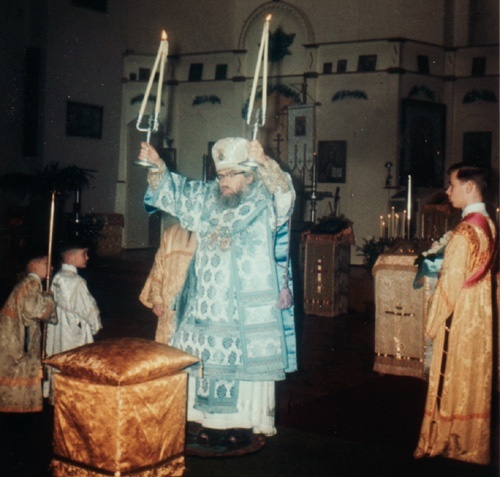 The Orthodox Tradition possesses a sufficient number of “defence mechanisms” that prevent foreign elements from penetrating into its liturgical practice. I have in mind those mechanisms that were set in motion when erroneous or heretical opinions were introduced into the liturgical texts under the pretext of revision. One may recall how Nestorianism began with the suggestion to replace the widely-used term Theotokos (Mother of God) with Christotokos (Mother of Christ), the latter was seen as more appropriate by Nestorius. When this suggestion was made, one of the defence mechanisms was activated: the Orthodox people were indignant and protested. Later, another mechanism was put into operation when theologians met to discuss the problem. Finally, an Ecumenical Council was convened. Thus, it turned out that a dangerous Christological heresy, lurking under the guise of a seemingly harmless liturgical introduction, was later condemned by a Council. The apostolic Church did not have special vestments for sacred serving. 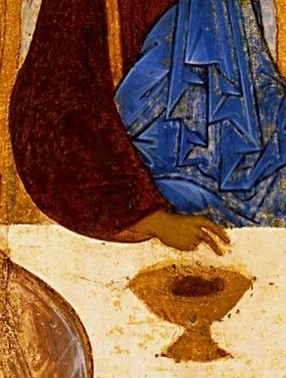 Christ celebrated the Mystical Supper in regular clothing and the Apostles wore their everyday clothes during the celebration of the Eucharist. As a result, however, of the Eucharist being transformed from a meal into a ceremonial service, everyday clothing came to be treated as sacred. When that clothing ceased to be commonly used, it was preserved in the usage of the Church. Different clothing, having special liturgical purposes, appeared as well. 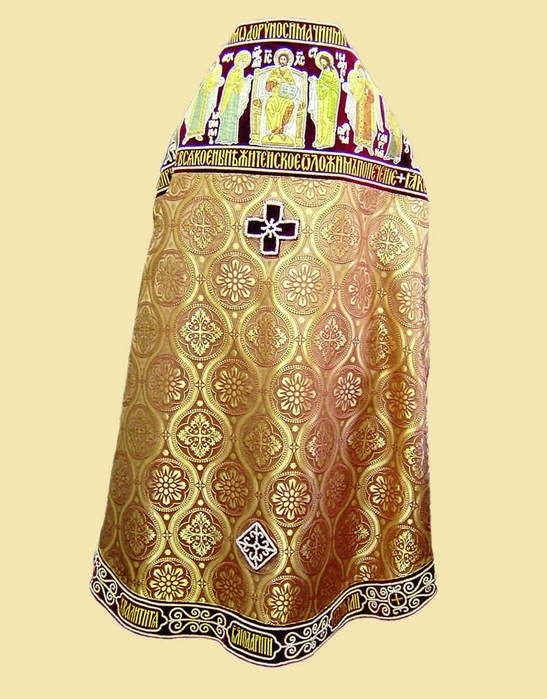 …The most ancient component of the liturgical vestments of bishops and priests, besides the sticharion, is the phelonion. 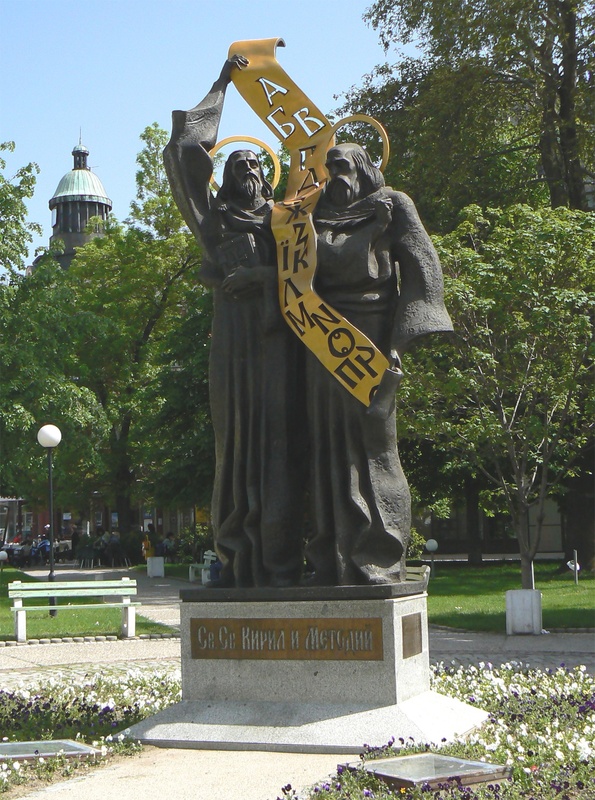 Saint Simeon of Thessalonica refers to this garment as fainolion and writes that it “reveals (fainei) the highest strength and enlightenment bestowed from on high”. In apostolic times the phelonion was a sleeveless wool coat used as an outer garment. The phelonion is mentioned by the Apostle Paul (2 Tim. 4:13) as an article of everyday clothing. There were various styles of phelonions and they could be worn on one shoulder or on both so that the front ends were pulled forward. The phelonion could be four-sided with tassels on the sides and fringes. However, in the Christian tradition, the most widespread type of phelonion had the shape of a bell, with a circular opening for the head. It was donned over the head and covered the entire body of the man wearing it. It could have the same length in the front as in the back or it could run higher in the front than in the back. In some cases, the phelonion was shorter on the side of the right arm and longer on the side of the left arm. Jacob, “Le chandelier a trois branches de l’eveque Pantoleon: A propos de l’inscription de Geroges de Gallipoli,” Bolletino della Badia greca di Grottaferata 53 (1999), 187-199. Theodore Balsamon Reflections, PG 138, 1016D-11017C. Simeon of Thessalonica Concerning the Holy Temple 59, 61. PG 155, 721BC. 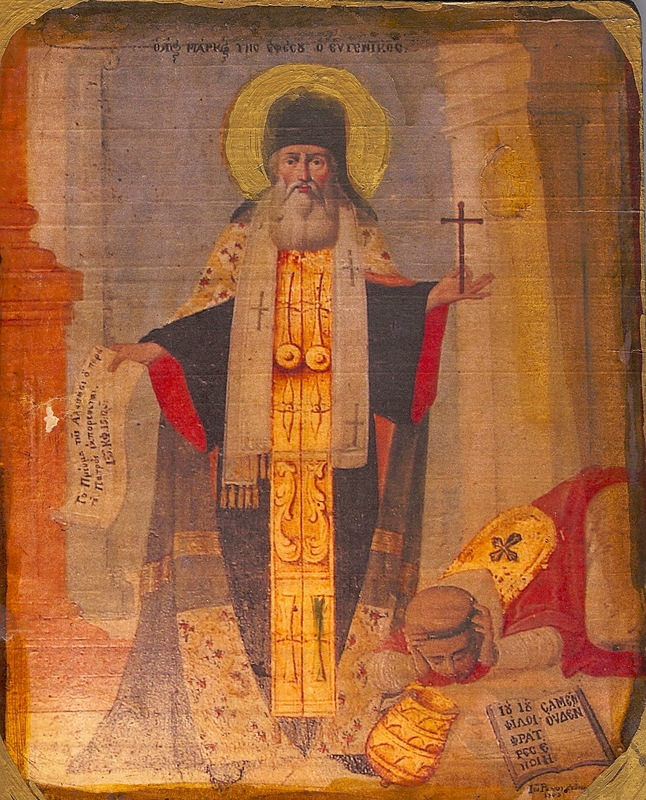 Deacon Mikhail Zheltov, “Dikirion” in Orthodox Encyclopedia, vol. 14, 693. Certain Latins attack us thus: They came that after the words of the Lord: “Take and eat” and what follows there is no need of any further prayer to consecrate the offerings, since they are already consecrated by the Lord’s word. They maintain that to pronounce these words of Christ and then to speak of bread and wine and to pray for their consecration as if they had not already been consecrated, is not only impious but futile and unnecessary. Moreover they say that the blessed Chrysostom is witness that these words consecrate the offerings when he said in the same way that the words of the Creator, “Be fruitful and multiply” (Gen. 1:22), spoken on a single occasion by God, continue to take effect, so the words once spoken by the Savior are also operative forever. Those who rely more on their own prayer than on God’s word are in the first place implying that His words lack effectiveness. They show that they put more trust in themselves, and in the third place they make the holy sacrament dependent on something uncertain, namely, human prayer, and in so doing they represent so great a mystery in which the most steadfast faith must be shown as something full of uncertainty. For it does not follow that he who prays will necessarily be heard, even if he has the virtue of Paul. It is not difficult to refute all these arguments. 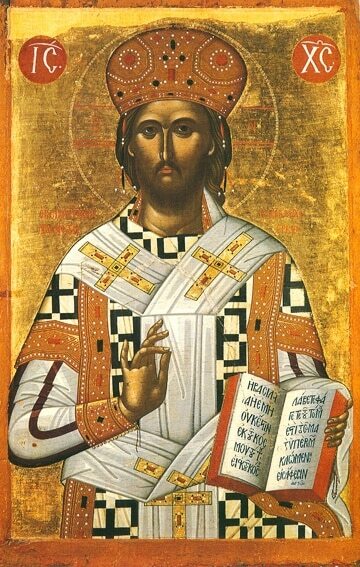 Take first the works of the divine John [Chrysostom] on which they rely and consider whether the words of Christ can be compared to the words of the Creator. God said: “Be fruitful and multiply”. What then? After these words do we need nothing more to achieve this and is nothing else necessary for the increase of the human race? Is not marriage and conjugal union essential, and all the other cares which go with marriage, and without which it would be impossible for mankind to exist and develop? 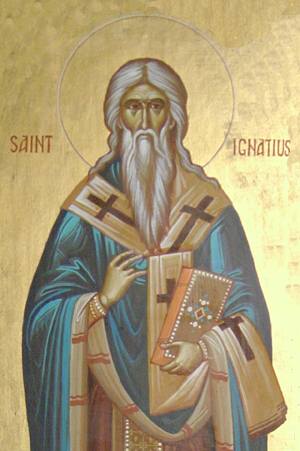 We consider marriage, therefore, necessary for the procreation of children, and after marriage we still pray towards this end, and without seeming to despise the Creator’s command, being well aware that it is the primary cause of procreation, but through the medium of marriage, provision for nourishment and so on. And in the same way, here in the liturgy we believe that the Lord’s words do indeed accomplish the mystery, but through the medium of the priest, his invocation, and his prayer. These words do not take effect simply in themselves or under any circumstances, but there are many essential conditions, and without these they do not achieve their end. Who does not know that it is the death of Christ alone which has brought remission of sins to the world? But we also know that even after His death faith, penitence, confession and the prayer of the priest are necessary, and a man cannot receive remission of sins unless he has first been through these processes. What then? Are we to dishonor His death and to claim that it is no effect, by believing that its results are inadequate unless we ourselves add our contribution? By no means. It is unreasonable to address reproaches like these to those who pray for the consecration of the offerings. Their confidence in their prayer is not confidence in self, but in God Who has promised to grant what they are seeking. It is indeed the very contrary which is fundamental to the conception of prayer. For suppliants perform the act of prayer because they fail to trust themselves in the matters about which they pray and they believe and that they can obtain their requests from God alone. In throwing himself upon God, the man who prays admits that he recognizes his own helplessness and that he is dependent upon God for everything. This is not my affair, he says, nor within my own powers, but it has need of you, Lord, and I trust it all to you. These principles have an even more wonderful application when we are forced to ask things which are above nature and beyond all understanding, as the sacraments are. Then it is absolutely essential that those who make prayer should rely on God alone. For man could not even have imagined these things if God had not taught him of them; he could not have conceived the desire for them if God had not exhorted him; he could not have expected to receive it if he had not received the hope of it from Him Who is the Truth. He would not have even dared to pray for those things if God had not clearly shown him that it was according to His will that they should be sought for, and that He is ready to grant them to those who ask. As a result, the prayer is neither uncertain nor the result unsure, as the Lord of the gift has in every way made known His desire to grant it. This is why we believe that the sanctification of the mysteries is in the prayer of the priest, certainly not relying on any human power, but on the power of God. We are assured of the result, not by reason of man who prays, but by reason of God Who hears; not because mantas made a supplication, but because the Truth has promised to grant it. There is no need to speak of the way in which Christ has shown His desire to ever grant this grace. This is why He came into the world, why He was made a sacrifice, why He died. This is why altars and priests and every purification and all the commandments, the teaching and the exhortations exist: all to the end that this holy table may be placed before us. This is why the Savior declared that He desired to keep the Passover (Lk. 22:15), for it was then that He was going to give the true Passover to His disciples. This is why He commanded them: “Do this in remembrance of Me”, for He wished this mystery to be performed among us always. How then could those who pray have any doubt about the object of their prayer, if He intended that those things which they seek to have be received by them, and He Himself wishes to grant them Who alone has the power to give? Therefore those who believe that the offerings are consecrated by prayer are neither scorning the words of the Savior, nor trusting in themselves, nor yet causing dependence on something uncertain, such as human prayer, as the Latins vainly reproach us. How can those who condemn the prayer in the sacraments answer all these arguments? If, as they say, the result of prayer is uncertain it would be equally uncertain whether the priest is truly of that holy office whose name he bears, or whether the Chrism has the power to consecrate, and therefore it would be impossible for the sacrament of Holy Communion to exist, since there would be neither priest nor altar. For our critics would hardly maintain that the words of the Lord would be effective if they were spoken by just anyone, and perhaps even without an altar. And indeed the altar upon which the bread must be placed is in fact itself consecrated with the Chrism which in turn is consecrated by prayer. And further, who can give us remission of sins if there is doubt about the priests and their supplications? To follow the innovations of these men would indeed inevitably mean the total destruction of all Christianity. 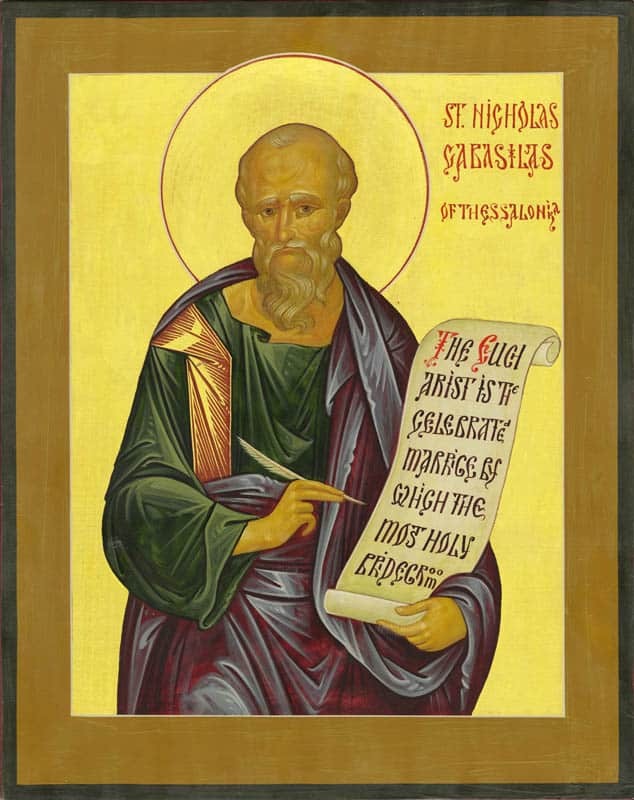 It is therefore clear that for those who hold such doctrines the very foundations of their virtue are in question, and there is indeed great danger for those who fabricate innovations of this kind, alien to the tradition of the Fathers and undermining the security which this tradition guarantees. For God Himself has said that He answers prayer and grants the Holy Spirit to those who ask, and nothing is impossible to those who pray in faith, and his assurance cannot be untrue. It is nowhere stated that this will happen to those who simply speak this or that word. It is the tradition of the Fathers who received this teaching from the Apostles and from their successors, that the sacraments are rendered effective through prayer; all the sacraments, as I have said, and in particularly the Holy Eucharist. Basil the Great and John Chrysostom, the great teachers of the Church, affirmed this, as so many others had already done. Those who deny such authorities deserve no consideration from those who believe in right doctrine. The words of the Lord about the Holy Mysteries were spoken in a narrative manner. None of the Apostles or teachers of the Church has ever appeared to say that they are sufficient to consecrate the offerings of sacraments. The blessed John [Chrysostom] himself said that, spoken once by Christ, and having actually been said by Him, they are always effective, just as the word of the Creator is. But it is nowhere taught that now, spoken by the priest, and by reason of being said by him, they have that efficacy. In the same way the Creator’s word is not effective because it is spoken by a man, applied to each particular case, but only because it was spoken by the Lord. That which silences our adversaries decisively is the fact that the Latin Church herself, to whom they refer themselves, does not cease to pray for the offerings after the words of consecration have been pronounced. This point has escaped them, no doubt, because the Latins do not recite this prayer immediately after pronouncing Christ’s words, and because they do not ask explicitly for consecration and the transformation of the elements into the Body of the Lord, but use other terms, which, however, have exactly the same meaning. This is their prayer: “Command that these offerings be carried in the hands of Thy holy angels to Thine altar on high.” (**) What do they mean when they say: “That these offerings may be carried up”? Either they are asking for a local translation of the offerings, i.e. from the earth and lower regions to heaven, or they are asking that they be raised in dignity from a humble state to the highest of all. If the first of these is the case, we must ask of what benefit it is to us to pray that the holy mysteries may be taken away from us, since our prayers and our faith assure us and demand that they should not only be with us but remain with us, since it is in this that Christ’s remaining with us even to the end of the world consists. (Mat. 28:20) And if they know it is Christ’s Body, how can they not believe that He is truly and mysteriously both with us and in heaven, sitting at the Father’s right hand, in a manner known only to Himself? How, on one hand, shall that which is not yet the Body of Christ, which is truly heavenly, become heavenly? Or how, on the other, could that which excels all authority, power, dominion, and supremacy be carried up by the hand of angel? Supposing, on the other hand, that the prayer of the Latins is asking that the offerings be raised in dignity and transformed into a higher reality, then they are guilty of a monstrous blasphemy if, considering that the Body of the Lord is already present, they nevertheless believe it can become something higher or holier. Thus it is clear that the Latins know perfectly well that the bread and the wine are not yet consecrated; that is why they pray for the offerings as elements still in need of prayer. They pray that these which are still here below may be carried on high, that, as offerings which have not yet been sacrificed, they may be carried to the altar where they are to be immolated. For this, they have need of the hand of angel. In the sense in which the great Dionysius speaks when he says that the first hierarchy, that of the angles, comes to the aid of the second and human hierarchy. This prayer can have only one significance – it transforms the offerings into the Body and Blood of the Lord. 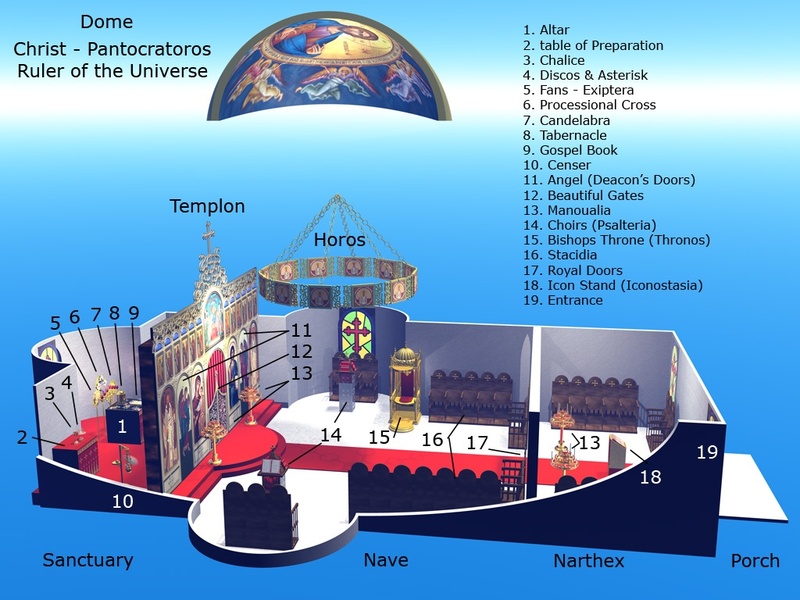 It is not to be imagined that the altar which it names lies in some place above the heavens set apart by God; to do this would be to associate ourselves with those who believe that the proper place of worship is in Jerusalem or on the mountain of Samaria. (Jn. 4:20-21) But since, as St. Paul says, there is one God and one mediator between God and men, Jesus Christ, in the Savior alone is all that can confer upon us sanctification or have power of intercession. And what are those things which have power of intercession and can confer sanctification? The priest, the victim, the altar. For, as the Lord says, “The altar that sanctifieth (Mat. 23:19) – the altar consecrates the gift. The priest then prays that the offerings may be carried up to the heavenly altar – in other words, that they may be consecrated and transformed into the heavenly Body of the Lord. There is no question of a change of place, a passage from earth to heaven, since we see that the offerings remain among us, and that even after the prayer their appearances remain. Since the altar consecrates the gifts placed upon it, to pray that the gifts may be carried to the altar is to ask that they be consecrated. What is the consecration conferred by the altar? That of the offerings placed upon it. Through that consecration the Divine Priest Himself is sanctified by being offered to God and sacrificed. (Jn. 17:19) Since Christ is at one and the same time priest, altar, victim, the consecration of the offerings by this priest, their transformation into the victim, and their carrying up to the heavenly altar are all one and the same thing. Therefore, if you pray that any one of these things come to pass, you pray for all; you possess that for which you pray and you have accomplished the sacrifice. Your [Latin] priests, regarding Christ as the victim, pray that the offerings may be placed in Him; thus, though in different words, they are asking just what we sk. That is why our priests, after they have prayed that the elements may be changed into the Divine Body and Blood, and having made mention of the heavenly altar, do not go on to ask that the offerings be carried up to it, since they have already been taken there and accepted, but they ask that in return the grace and the gift of the Holy Spirit may be sent to us. “Let us pray for the consecrated offerings.” That they may be consecrated? Certainly not, since they are so already; but that they might sanctify us, that God Who sanctified them may sanctify us through them. (*) This should be “hands”. In the Roman Catholic rite the head of a bishop is anointed at his consecration. (**) The prayer referred to is as follows: We humbly beseech Thee Almighty God, command that these things be carried by the hands of Thy angel to Thy altar on high before the sight of Thy divine majesty: that so many of us as shall by this partaking at the altar receive the most holy Body and Blood of Thy Son, may be fulfilled with all grace and heavenly benediction. Through the same Christ our Lord. It is certain that all the old liturgies contained such a prayer. 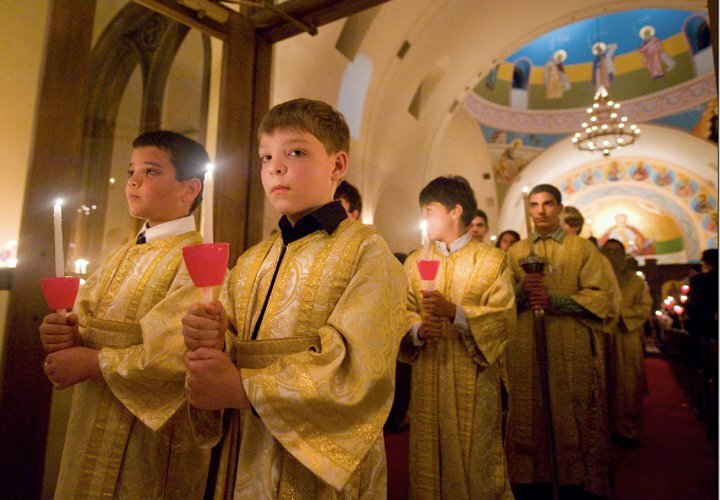 For instance, the Liturgy of the Apostolic Constitutions, immediately after the recital of the words of Institution, goes on to the Anamnesis — “Remembering therefore His Passion…” — in which occur the words: “thou, the God who lackest nothing, being pleased with them (the Offerings) for the honor of Thy Christ, and sending down Thy Holy Spirit on this sacrifice, the witness of the Passion of the Lord Jesus, to manifest (opos apophene) this bread as the Body of Thy Christ and this chalice as the Blood of Thy Christ…” (Brightman, Liturgies Eastern and Western, I, 21). So the Greek and Syrian Liturgies of St. James (ibid., 54, 88-89), the Alexandrine Liturgies (ibid., 134, 179), the Abyssinian Rite (ibid., 233), those of the Nestorians (ibid., 287) and Armenians (ibid., 439). 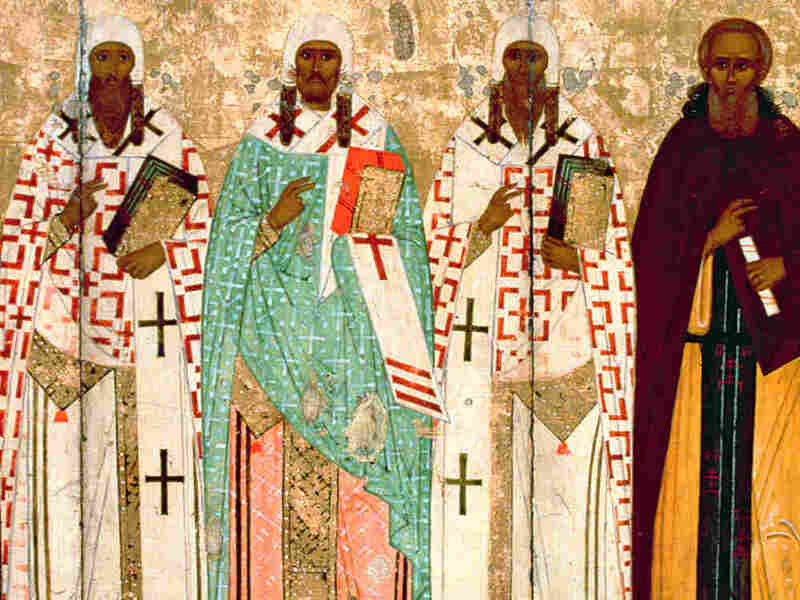 The Epiklesis in the Byzantine Liturgy of St. John Chrysostom is said thus: “We offer to Thee this reasonable and unbloody sacrifice; and we beg Thee, we ask Thee, we pray Thee that Thou, sending down Thy Holy Spirit on us and on these present gifts” (the Deacon says: “Bless, Sir the holy bread”) “make this bread into the Precious Body of Thy Christ” (Deacon: “Amen. Bless, Sir, the holy chalice”): “and that which is in this chalice, the Precious Blood of Thy Christ” (Deacon: “Amen. Bless, Sir, both”), “changing [metabalon] them by Thy Holy Spirit” (Deacon: “Amen, Amen, Amen.”). (Brightman, op. cit., I 386-387). Nor is there any doubt that the Western rites at one time contained similar invocations. The Gallican Liturgy had variable forms according to the feast. That for the Circumcision was: “Hæc nos, Domine, instituta et præcepta retinentes suppliciter oramus uti hoc sacrificium suscipere et benedicere et sanctificare digneris: ut fiat nobis eucharistia legitima in tuo Filiique tui nomine et Spiritus sancti, in transformationem corporis ac sanguinis domini Dei nostri Jesu Christi unigeniti tui, per quem omnia creas…” (Duchesne, “Origines du culte chrétien”, 2nd ed., Paris, 1898, p. 208, taken from St. Germanus of Paris, d. 576). There are many allusions to the Gallican Invocation, for instance St. Isidore of Seville (De eccl. officiis, I, 15, etc.). The Roman Rite too at one time had an Epiklesis after the words of Institution. Pope Gelasius I (492-496) refers to it plainly: “Quomodo ad divini mysterii consecrationem coelestis Spiritus adveniet, si sacerdos…criminosis plenus actionibus reprobetur?” (“Epp. Fragm.”, vii, in Thiel, “Epp. Rom. Pont.”, I, 486). Watterich (Der Konsekrationsmoment im h. Abendmahl, 1896, pp. 133 sq.) brings other evidences of the old Roman Invocation. he (p. 166) and Drews (Entstehungsgesch. des Kanons, 1902, p. 28) think that several secrets in the Leonine Sacramentary were originally Invocations (see article CANON OF THE MASS). Of the essential clause left out — our prayer: “Supplices te rogamus” (Duchesne, op. cit., 173-5). It seems that an early insistence on the words of Institution as the form of Consecration (see, for instance, Pseudo-Ambrose, “De Mysteriis”, IX, 52, and “De Sacramentis”, IV, 4, 14-15, 23; St. Augustine, Sermon 227) led in the West to the neglect and mutilation of the Epiklesis. …That in the Liturgy the Invocation should occur after the words of Institution is only one more case of many which show that people were not much concerned about the exact instant at which all the essence of the sacrament was complete. They looked upon the whole Consecration-prayer as one simple thing. In it the words of Institution always occur (with the doubtful exception of the Nestorian Rite); they believed that Christ would, according to His promise, do the rest. But they did not ask at which exact moment the change takes place. Besides the words of Institution there are many other blessings, prayers, and signs of the cross, some of which came before and some after the words, and all, including the words themselves, combine to make up the one Canon of which the effect is Transubstantiation. So also in our baptism and ordination services, part of the forms and prayers whose effect is the sacramental grace comes, in order of time, after the essential words. It was not till Scholastic times that theologians began to discuss the minimum of form required for the essence of each sacrament. 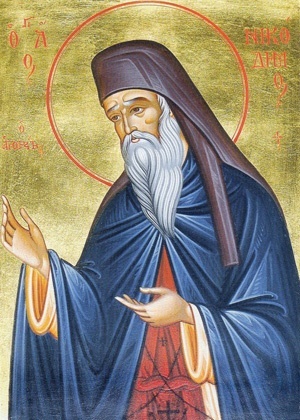 St. Peter Damascene ca. 11th-12th cent. We say it, I think, twelve times as a symbol of the Apostles, to whom this divine prayer (referring to the “Our Father) was first delivered. 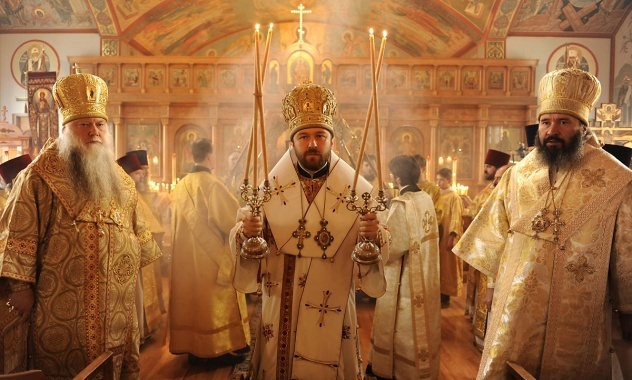 Many who either do not understand or who despise the traditional/liturgical worship service of the Orthodox Church do so because, for one reason, they do not understand the very nature of worship. Christ says in Matthew 16 that nothing will prevail against the Church. This is how the Church worships: without being prevailed against by the non-Orthodox’ unbelief. Many Evangelicals say that liturgical worship is “canned” and “dry.” Liturgical celebration is only canned and dry to those that do not involve themselves in it. The Orthodox Church worships regardless of who is and is not worshiping. It does not take a break, slow down or change its form because of one man or many men’s unbelief. A problem with our society today is that many men have begun to fabricate their own worship service based on their lack of belief. They believe that the worship of the Church should spontaneously interact with where they are currently in their level of spirituality. There happens to be hundreds of thousands of these types of Christians in our society, today. They are completely unaware of the historical reality of the Church and how we are to worship, so they attend whichever church they feel comfortable at – usually the one that connects with their secular culture. Most non-Christians and modern Christians are not comfortable worshiping liturgically. The entire service seems canned to them! But it is not the service that is canned, it is the unbeliever that is canned. They are canned because they were taught not to grow and become one with the entirety of the kingdom of Christ. They are canned because someone has limited their capacity to know and give to God. A modern teacher has infiltrated their soul with doctrine and polemics that create a top-stop in their minds and hearts. The Orthodox Church worships regardless of how you worship; regardless of whether you worship or not! The Orthodox Church assumes a worship service for the Christian who desires to grow in Christ, to come into full communion with Him. Non-Orthodox and immature Christians should first learn about worship before they jump to conclusions about its nature. If they do jump to conclusions without being discipled they risk being lost to the spirit of contemporary “Christianity.” Contemporary Christianity’s worship is geared for the non-Christian (in the name of evangelism), therefore any non-Christian or new Christian will inherit the feeling of being whole within their service. They can indeed be filled, but in their very limited capacity. The Triumphal Hymn is a combination of the angelic hymn which Isaiah heard when he received his calling as a prophet, and the hymn with which the people received the Theanthropos in the Holy City of Jerusalem ‘as He was going to His voluntary Passion’. By singing this hymn at the Divine Liturgy, we are imitating both the angels and the people of the Holy City. In this article, Metropalitan Hierotheos S. Vlachos speaks of how Christianity is a type of psychotherapy; how certain liturgical aspects of the faith heal the soul and conform us into the image of Christ! The Greek word for soul is psyche, so do not let the word psychotherapy or even psychology scare you. My intentions of using this paradigm is not for modern reasons – to delve into the modern industry and academia of psychology, but in order to properly embrace the study and formation of the soul we must actually refer to it and the very need for a categorical study of its usage (Christianity has actually shied away from this arena, when we should be dominating it). The psyche is the inner, non-material part of humankind. It demands cultivation and renewal through liturgical actions. When we give to God in our worship, we should anticipate the cultivation and renewal of our soul. 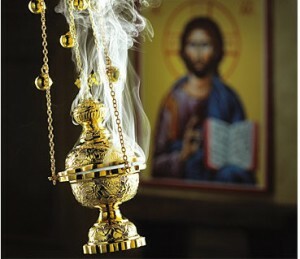 Orthodox worship is designed to put our souls at rest, not to excite our souls and pump us up. Orthodox worship puts us in contact with the living God and the history of this God. God’s plan pans throughout all time and we should include ourselves into this eschaton. Remember, the New Covenant did not stop at the Church of Acts, it continued throughout the First Century on, and we need to have succession from this time, not separation! Ancient liturgy places us in ancient communion. Modern liturgy places us in modern communion. Christ’s power is in the ancient. You can be assured of this by simply opening the Bible. It is an ancient work, and liturgy is inseparable from this work. Modern liturgy (pop music and historically standardless utterance) is grown from a modern culture that is not at all theocratic or even prophetic. It is fueled by Hollywood and other secular avenues. Why would one want to offer praise through secularism? And why would one want to be cultivated through secularism? The cultivation of our souls demands the sacred, the Holy, and the oneness of God! The Church has worked very hard over the centuries to make certain that the icons, the altar, the hymns, etc., are all palatable to the soul, able to conform us to the image of Christ. As we give to God in our worship, God gives back to us a renewed heart, ready for battle, ready for what the enemy attempts to destroy us with. If you want to do great things for Christ, you must be willing to delve into great things theologically, and the worship of the Orthodox Church is all things theological! I love the way St. Paul describes Christians as “bondservants.” Other translations besides the NKJ use the word slave, but bondservant seems much more appropriate since it is not associated with modern slavery. To be a bondservant of Christ means that we are indeed bound to our servant-hood. We are not slaves in the modern sense of not having freedom, but we are slaves in the spiritual sense of having freedom yet under the certain care and tutelage of Christ. When we worship God on the Lord’s Day we become bondservants to Christ through the ordained liturgy of the Church. There is indeed a difference between ordained liturgy and just good liturgy. Good liturgy is good because it looks good on paper, like a thesis. But ordained liturgy, which we shall refer to as bondservant liturgy is good because one really and truly becomes bound to it – covenantaly speaking. Bondservant liturgy is done under the succession and law of Christ’s Church-historical under the care and authority of a bishop. Some may be a little leery on the use of the bishopric here, so please allow me to explain. Does Carpet Belong in a Church? I love this article on carpet and church. If we are the ancient Church, then we need to look, feel, and sound like it…literally. Every parish struggles with acoustical problems, some because of the large space, but some because of the wholly unnecessary existence of carpet in the nave and sanctuary. Many parishes have made the huge mistake of carpeting their church space because someone on someone on some know-nothing committee thought that the carpet made the place feel warmer and friendly—like a living room—and perhaps too, someone found the echoes of children crying or hymnbooks dropping to be annoying. Sadly, carpet is a killer of good liturgical acoustics. It wrecks the music, as singers struggle to overcome it. The readers end up sounding more didactic than profound. And even the greatest organ in the world can’t fight the sound buffer that carpet creates. All the time you spend rehearsing, and all the money paying a good organist or buying an organ, ends up as money down the carpet drain. Elementary errors are involved in the decision. When the church is being constructed and tested for sound, it is during a time when it is empty of bodies. The decision makers stand around and note that a new carpet won’t make that much difference. Once installed, it only appears to muffle the sound of steps and things dropped. But once the place is packed with people, something new is discovered. The sound is completely dead—dead in the sense that it doesn’t move. This is not the sound of liturgy. This is when the acoustic engineers are brought in, usually from some local firm that specializes in studio recordings or some such. What they will not tell you is that you can save the expense of massively pricey sound systems and mixing tricks simply by pulling up the carpet. They don’t tell you this because they are not in the carpet removal business. Their job is to make the existing space sound better. Sadly, this means sometimes tens and hundreds of thousands of dollars in equipment, the effect of which is to make it impossible for anyone to be heard unless surrounded by microphones. Again, this is no solution at all. Chant will never sound right. The organ becomes a complete waste. The instruments and vocal styles that work in a space like this belong more to the American Idol genre of music than sacred music. This is a true tragedy for any parish seeking to reform its liturgical program. I’m very sorry to say this, but it pretty well dooms the reform. You can chant and play Bach all you want but you will never be able to overcome the acoustic limitations. What to do? The decision makers need to gather the courage to take action. Pull up the carpets immediately. It might leave concrete or wood or something else. It might be unsightly until the time when tile or new concrete or wood can be installed, but the mere appearance alone will call forth a donation perhaps. What’s important is that immediately the sound will be fixed, and the parish will have save untold amounts in paying the acoustic firm. Not only that: funds will be saved from future carpet cleanings, repairs, and replacements. Much of this information I learned from Reidel and Associates, a firm that does consulting on worship spaces. I ordered their pamphlet about sound called “Acoustics in the Worship Space” by Scott R. Riedel (St. Louis: Concordia Publishing House, 1986). It is quite technical and very informative. Here is what he says about floors on page 17. The floor is typically the building surface that is largest and nearest to worshipers and musicians. It is important that the floor be reflective of sound, particularly near musicians, since it provides the first opportunity for much sound energy to be reinforced. Carpet is an inappropriate floor covering in the worship space; it is acoustically counterproductive to the needs of the worshipers. The mood of warmth and elegance that carpeting sometimes provides can also be provided with acoustically reflective flooring such as quarry tile or wood that is of warm color and high quality. The notion that the worshiper covers the floor surface, making its material composition acoustically unimportant is false. The large floor area of the worship space bas great acoustical influence. Appropriate floor materials include slate, quarry tile, sealed wood, brick, stone, ceramic tile, terrazzo, and marble. Walk and Ceiling. Durable, hard-surfaced walls and ceiling are also essential for good acoustical reflections. The ceiling is potentially the largest uninterrupted surface and therefore should be used to reinforce tone. Large expanses of absorptive acoustical ceiling tile are to be strictly avoided. Appropriate wall or ceiling materials include hard plaster, drywall of substantial thickness, sealed woods, glazed brick, stone, med and painted concrete block, marble, and rigidly mounted wood paneling. The construction of walls, floors, and doors should retard the transmission of noise into the space from adjoining rooms, from the outdoors, or via structure-borne paths. Sound attenuators or absorptive material may be fitted to heat and air ducts to reduce mechanical noise also. Some may consider using absorbing materials such as carpeting or acoustical tile to suppress noise from the congregation. Noise from shuffled feet or small children is usually not as pervasive as might be feared. It is unwise to destroy the proper reverberant acoustical setting for worship in deference to highly infrequent noisy behavior. Let me now address the issue of noise. A building in which you can hear your footsteps signals something in our imaginations. It is a special place, a place in which we are encouraged to walk carefully and stay as quiet as possible. Pops, cracks, thumbs, and sounds of all sorts coming from no particular direction is part of the ambiance of church, and its contributes to the feeling of awe. It was some years ago that I attended a concert of organum—three voices singing early medieval liturgical music—at the National Cathedral in Washington, a vast space. There were only three small voices near the altar, and I was at the back and the people singing looked like tiny specs. Moving my foot a few inches created a noise that could be heard for 20 feet in all directions, loud enough to drown out the music. As a result, everyone sat in frozen silence, fearing even to move a muscle. This went on for more than a full hour. It was a gripping experience. The closer we can come to creating this environment in our parishes, the holier the space will sound and feel. I’ve personally never heard an echo that is too extended for worship. It is possible I suppose but I’ve never experienced it. One final point about Church acoustics that needs to be added here. The Introit of the Mass is not: “Please turn off your cellphones.” This line is increasingly common at the start of Mass. This really must end. Yes, it is a good thing for people to turn off cell phones but instructions to that effect are not what should be the first words one hears at the start of Mass. And please consider that people are not dumb as sticks. Cell phones are a normal part of life now, and we are all learning to keep them off in any public lecture or event such as a worship service. These things take care of themselves over time. For someone’s cell phone to ring ends up being a warning to everyone else for the future.